GarageBot - Your personal, digital garage assistant. Your personal, digital garage assistant. Empower your workshop with the best management software. GarageBot enables you to improve consumer experience by via media & location rich live interaction! GarageBot earns for you automatically improving your revenues by upto 20%! 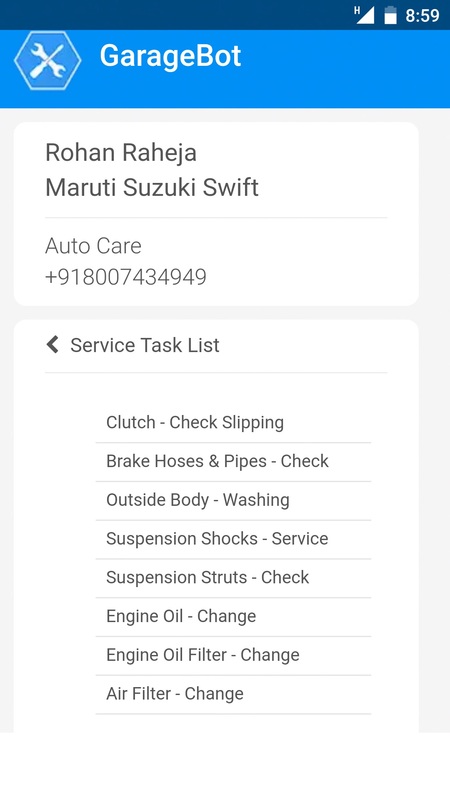 Your entire garage at your finger tips, always. 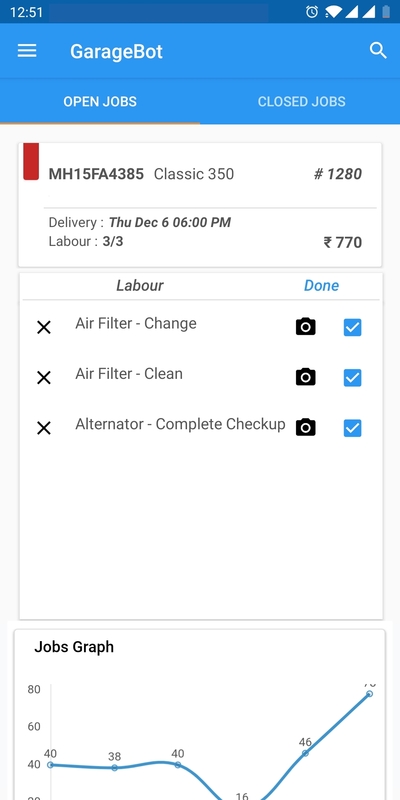 Manage your garage jobs and monitor your workmen's progress, anytime, anywhere. With all the data on the cloud, you can always access it from any Android device, using your personalised login. Keep in touch with your customers on the fly. Automatically provide live tracking to your customers, enabling you to share videos and photos of the service progress live with them. Let GarageBot obtain feedback and periodically notify them of a pending service for their vehicle. Copyright © Antaraka Technologies Pvt. Ltd. 2019. All Rights Reserved. Made in India.